PRODUCT: Dow #259205 DOW GREAT STUFF PRO CLEANER (can only, no gun). 12 OZ AEROSOL CAN. PRICE/CAN. (Flammable; UPS GROUND SHIPMENT ONLY). (Flammable, UPS GROUND SHIPMENT ONLY). 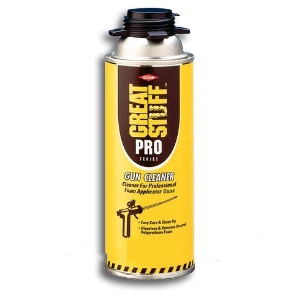 An aerosol dispensed cleaner for all Great Stuff Pro guns.